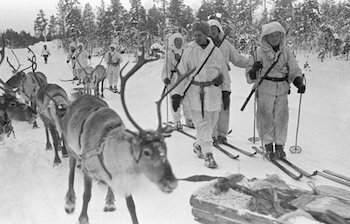 Soviets break through Finnish defenses on the Karelian Isthmus. Britain cracks down on unauthorized slaughterhouses (“steakeasies”) trying to circumvent rationing. German authorities order all gentiles to leave Amsterdam’s Jewish Quarter. In the early hours of the morning, the Scharnhorst puts into Wilhelmshaven, while the Gneisenau and Prinz Eugen reach Kiel a short while later. The Russians advance in to White Russia, but meet strong German resistance. US, Dutch, and British ships fail to stop Japanese ships bound for Palembang, Sumatra. The final ships, including small craft, leave Singapore; Japanese aircraft sink several ships carrying refugees. The Battle of Palembang begins near Palembang on Sumatra. The Battle of Pasir Panjang begins in the battle for Singapore. The Germans complete the Channel Dash successfully. The British submarine Tempest is depth charged and sunk in the Gulf of Taranto by the Italian torpedo boat Circe. Tunisian Jews ordered to pay 10 million francs to Germans. 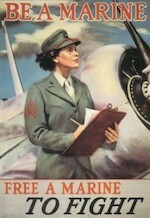 US Marine Corps Women’s Reserve officially established. The allies halt the German attack around Cassino. The Italians in Cassino Monastery are warned that it will be bombed. Allied Combined Chiefs of Staff issue Combined Bomber Offensive directive: 1) aircraft production and ball bearings, 2) “Crossbow” (V-weapon) targets, 3) Berlin and industrial targets when weather bad. Another British counter-offensive begins in Arakan, Burma. Soviets take Budapest, Hungary, opening the Danube Valley for the drive to Vienna; 110,000 POWs taken. In Manila, US troops capture Nichols Field and Cavite naval base. US ships enter Manila Bay for first time since 1942.